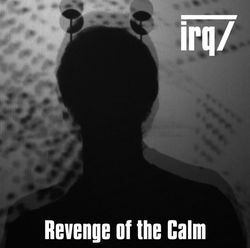 This is the first EP released, after my debut-album "Revenge of the Calm". 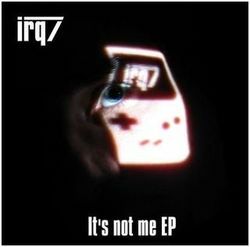 Instead of own compositions, this EP features cover-versions of some of my favorite songs. All seven Songs were written on my Gameboy(s) Classic using LSDj. 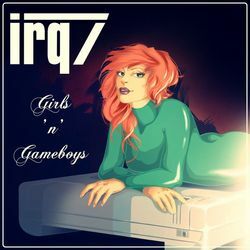 Most of the original songs are coming from the Commodore C64- and Amiga - world. The title-track "Alf" is heavily based on Zalza's brilliant "2204355 Song" which was released in the early days of the internet together with a funny animation. Of course it's also the theme of the TV-series with the same name. My second Track is a typically pushing forward cracktro-tune from the C64 used by Strikeforce. The same is valid for S-Express, but this song was already a cover on the C64 of a late 80ies dancefloor-act. "Analyzer" is one of these really cewl Amiga-MOD's which consist of just a few patterns which loop to infinity. I also did a extended version of this track using a drum-machine connected to my Gameboy. Another song from the Amiga is "Lost Scrotum" which was programmed on two Gameboys to keep the complexity of this beautiful anthem. After watching the "Silent Hill" movie, a little sad melody get stuck in my mind and I decided to try a own version. I added some drums which end up in a nice breakbeat - song. At the end I like to say Thank you! to all the original composers for their songs which touched my soul and made me what I am. Drop me a link to your post!